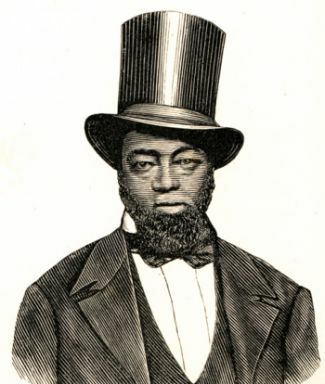 Samuel Burris was a conductor on the Underground Railroad in the mid-nineteenth century best known for his own narrow escape from possible slavery while helping a fugitive slave. Born in Willow Grove, Kent County, Delaware in 1808, Burris was a free black man. He moved his family to Philadelphia, Pennsylvania and in 1845 began to actively assist the Underground Railroad. His assignment was to return to Delaware and Maryland and lead fugitives to safe houses in Pennsylvania. Burris worked closely with William Still (a well-known abolitionist and conductor on the Railroad) and Thomas Garrett in this dangerous endeavor. Although slavery was gradually being phased out of Delaware at that time, it was still illegal to participate in the Underground Railroad. The maximum punishment for a free African American doing so in Delaware was being sold into slavery for seven years. Burris was caught in 1847 while helping Maria Mathews, a slave escaping from Dover Hundred, a plantation near the state capitol, Dover. He was immediately imprisoned in Dover, and forced to await trial for 14 months. When he was tried, he was found guilty and sentenced to be sold into slavery for the standard period of time. Unknown to Burris at the time, the Pennsylvania Anti-Slavery Society collected enough money to purchase his freedom. A member of the Society, Isaac A. Flint, attended the state auction in which Burris was to be sold. Flint posed as a slave trader and was so convincing in this role that he fooled state officials and even fooled Burris as he thoroughly examined Burris’s body and then actively bid on him. Flint managed to “win” Burris and the two promptly returned to Philadelphia. Burris remained in Philadelphia until 1852, when he moved his family to California. Although he had stopped participating directly in the Underground Railroad after narrowly escaping from his own possible enslavement, Burris continued to support the abolition cause in his new home state. He also remained in contact with William Still throughout the rest of his life. During and after the Civil War, Burris raised funds through black churches in Northern California to assist African Americans affected by the conflict. The funds were often used to feed and shelter former slaves recently freed by the Union Army. Samuel Burris died in San Francisco, California in 1869. He was 60. Ann Klimas, “People of the Underground Railroad in Maryland” (2014), retrieved from Pathways to Freedom: Maryland and the Underground Railroad: http://pathways.thinkport.org/library/people.cfm; Russ Pickett, “Samuel Burris” (2007), retrieved from RussPickett.com: http://www.russpickett.com/history/burrbio.htm; The State of Delaware,” The People vs Samuel D. Burris” (2014), retrieved from State of Delaware: The Official Website of the First State: http://history.delaware.gov/freedom/people_burris.shtml.